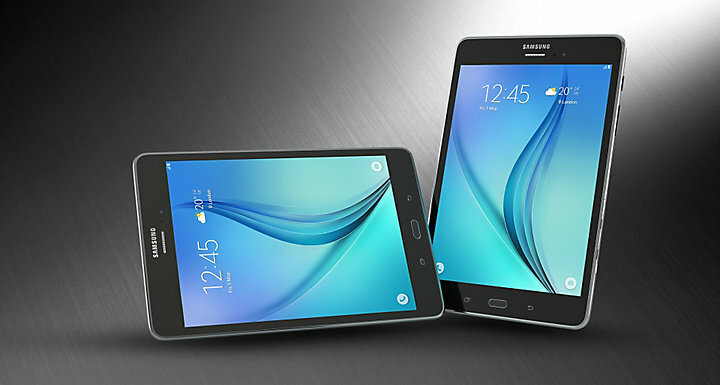 Meet the stunning new Galaxy Tab A – an eye-catching device with sophisticated simplicity. Only 7.5 mm thick and just 320 g, the Galaxy Tab A provides you with unbeatable portability, as well as a firm, secure grip. The Galaxy Tab A’s 5MP rear camera provides you with outstanding photography options. Its auto focus feature makes it easier for you to take clearer pictures and videos. Use this function to scan QR codes and barcodes easily, providing you with even more exciting interaction opportunities. * Apps for QR code and barcode scanning do not come pre-installed and need to be downloaded separately. The Galaxy Tab A’s Kids Mode offers a range of children-friendly apps designed not only to educate, but also to entertain, including a range of apps devoted to developing your child’s interests and talents. * The Kids Mode app is not pre-installed. It needs to be downloaded separately. * Feature only available with Bluetooth-enabled Tizen TV products released in 2015 or later.